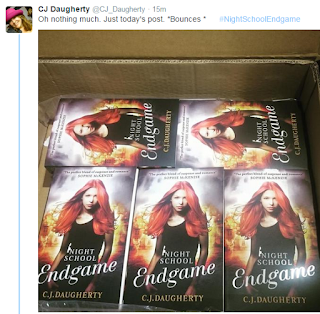 We know the books exists, because of the beaut box of proofs CJ has....I'm planning to go a bit Mission Impossible on them...bungee ropes and all. 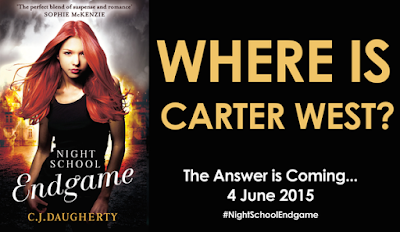 My theory is Carter is still in the Lake...to make a dramatic enterence once again. OK so that's a bad theory but if it means that I can use the GIF again (you're welcome) then that's maybe not a bad thing. 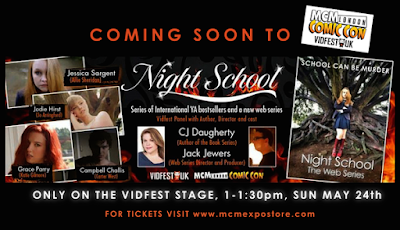 And you may remember a little obsession I had at the start of the year with the AMAZING Night school Webseries that was on Youtube...What's exciting is this Sunday YOOOOOU can meet the cast and crew at MCM Comic Con!!!!!! The End Game is coming we're ready are YOU?!? OMG!! Your post is amazing!! Your post has made sooooooo excited!!! LOL! !